When it comes to wedding planning, most couples stick to the usual white wedding cake with pretty icing and a cliché topper. But with the fast-paced, ever-changing world that we live in, we’ve been noticing a few very creative, unusual and quirky wedding cakes pop up on our timeline now and then. And we thought, won’t our readers love this! Half and half cakes are perfect for each and every kind of wedding because both the bride and the groom can choose just what they want and go with it, no matter how different their choices are. Don’t they say opposites attract! 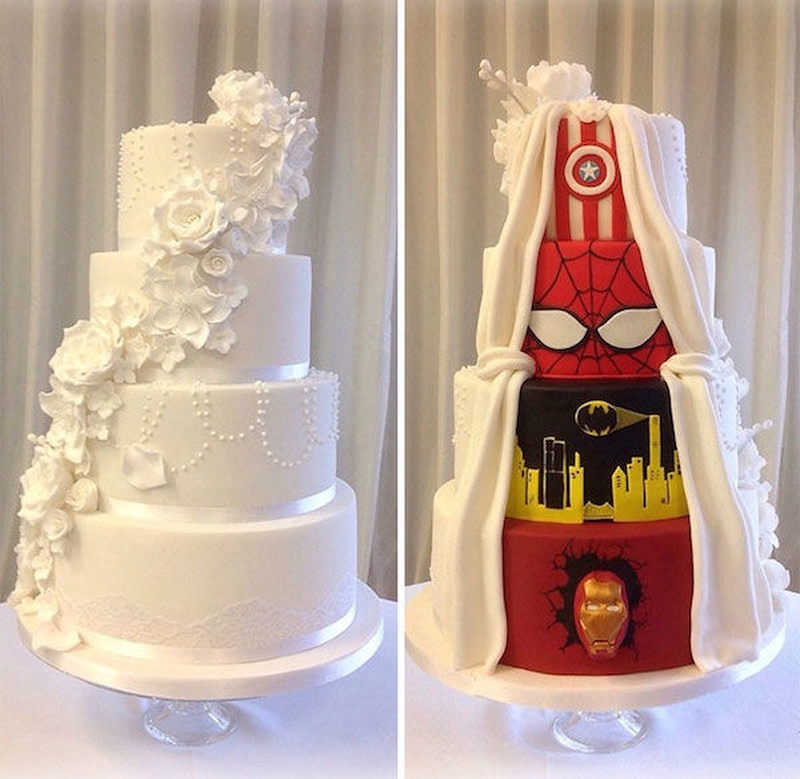 So boys, wouldn’t you love your favourite super-hero making an appearance at your wedding and girls, well, not to be stereotypical, but go right ahead and think of the prettiest flower tower you can. Because both of you will certainly not be disappointed. Check out below visuals for some awesome ideas!